Concept Blitzcrank as a riot control automata. 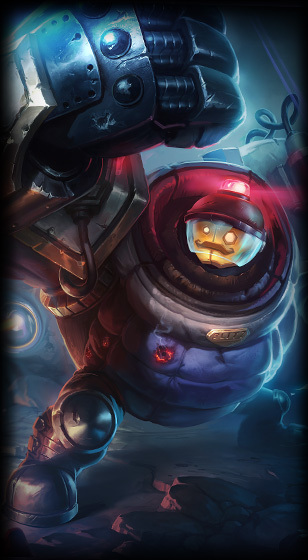 Model New model for Blitzcrank and blinking emergency light during Overdrive. Animations New recall animation and closing visor for Overdrive. Sounds New sounds for Rocket Grab, Overdrive, Power Fist and recall.